The program is intended to help advisors with succession, but it could make it harder for advisors and clients to leave, Mark Elzweig says. Starting in August, Bank of America-Merrill Lynch (BAC) says its advisor trainees will have the option of joining a team as a specialist and finishing the training program in about two and a half years, versus the traditional three and a half years. The aim is to support advisors with succession planning and build “the bridges necessary for the next generation of advisors to continue to deliver the experience our clients expect and deserve,” according to a memo shared with advisors on Monday. The trainees could chose to focus on business development, financial planning, investments and financing, relationship management or business management. But how would affect the Thundering Herd of 13,845 reps? In other words, Merrill’s new push to have trainees join teams as specialists adds to the “stickiness” of the both clients and advisors, who may be exposed to a growing array of Bank of America products and services, but will have a harder time jumping ship. Of course, Mother Merrill doesn’t see it that way. “Developing the next generation of advisors and supporting the growth of teams are critical factors in our ability to deliver on our goals-based wealth management strategy today and in the future,” the firm said in a statement. Each year, Merrill brings in 1,500 to 1,700 advisor trainees for its Practice Management Development program, which was launched in 1946. It currently has about 3,100 at various stages of the program. Going forward, those who have been in the program for up to nine months are eligible to apply to join the new Team Financial Advisor specialty training. 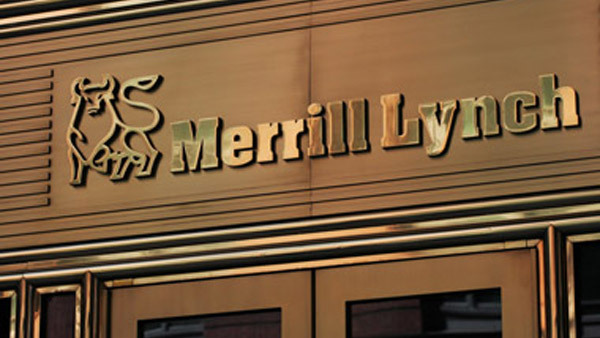 Some industry experts suggest that Merrill is looking out for its interests, as well as those of its parent company. It started the rollout of its Merrill Lynch One platform, which unifies several account platforms, about a year ago, they point out. And the new trainee option, like Merrill One, provides more links between wirehouse clients and Bank of America. While these steps may not be locking assets, clients and advisors down forever, of course, the new advisor technology and training programs seem to be making a “sticky” situation even stickier. Merrill Lynch is not the only firm working to help advisors with succession plainning while beefing up the flow of younger advisors. In April, Raymond James’ (RJF) independent broker-dealer said it signed a deal to give its advisors more resources for succession planning. Its new partners are Live Oak Bank and Key Management Group. These groups will share preferred financing and valuation services with the independent-advisor practices and with prospective advisors. “One of the most important issues facing our industry is the lack of documented succession plans for experienced, successful advisors,” said Scott Curtis, president of Raymond James Financial Services, in a statement. The financing and valuation services provided by Live Oak Bank and Key Management Group will be available to RJFS advisors May 1. “Live Oak Bank is the only bank that is addressing the need for financing of advisory practices in the wealth management industry,” said Chip Mahan, CEO of Live Oak Bank, in a statement. This program came on the heels of a push Rayond James made in Feburary to train a number client associates each year to become advisors. It is modeled on a pilot program for associates, which it started last year, to boost both the number of female advisors and to groom more successors for retiring advisors.